Xingu Rising: Millions spoke out to stop the destruction. Immediate halt to construction! Then, the overturning of suspension. 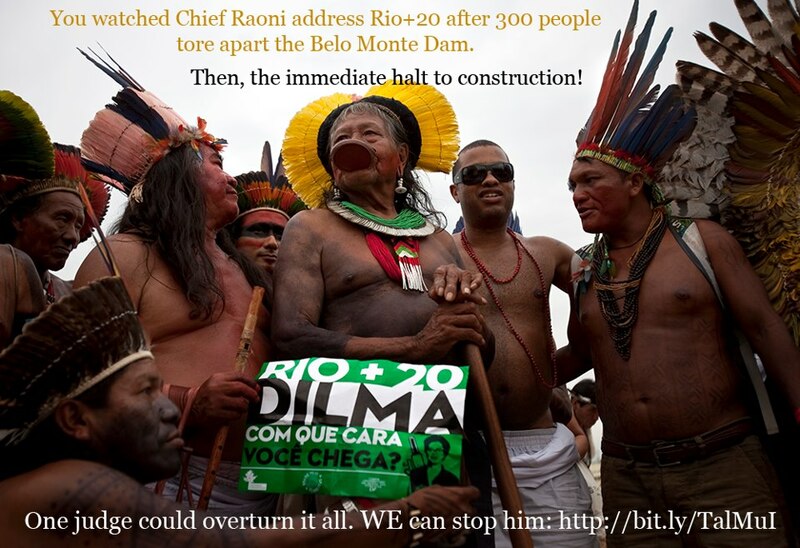 The Supreme Court could still uphold the historic decision to suspend the Belo Monte Dam…We cannot back down! Let us consciously put our loving thoughts and energy towards keeping the great piece of mother earth these indigenous people have left from total destruction. Keep Updated with sites that are endangered for our fellow people on this earth. Support the people. Protect The Amazon.